When creating an estate plan in Nevada, there are several points to consider. One provision people may not think about is what they may require if their health fails near the end of their lives. They may need someone who can handle their medical decisions if they are unable to do so themselves. Granting a loved one with powers of attorney can be crucial in handling certain specified affairs. They can designate that person as their durable power of attorney to handle healthcare matters. Someone who holds power of attorney may be more easily able to assist the estate holder if he or she lives in close proximity to the person they are representing, though it is not essential. The chosen person will have to be selected carefully, as he or she will need to be trustworthy and able to make decisions that might be very difficult. A high-stress situation does not bring the best out in every person, and he or she will have to be confident in the decisions made. Once the person is designated, having conversations between the estate holder and the power of attorney can help to communicate precise medical directives. If a decision has to be made quickly, the power of attorney will have a better understanding of what the estate holder would do for him- or herself. Informing medical providers and other family members of the identity of one’s durable power of attorney, with appropriate documentation, will resolve potential unanswered questions and ensure that everyone is up to speed on the estate provider’s decision. If one does not have a durable power of attorney for healthcare decisions, it is very important that the choice is made soon, after careful consideration of all possibilities. 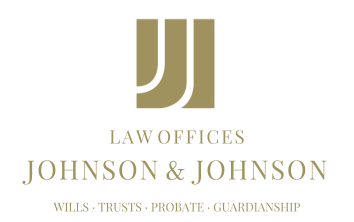 Having a trusted person with powers of attorney in Nevada can prevent confusion at a time when one needs someone to have a clear mind and act with his or her best interests at heart. If the unthinkable occurs, being prepared will go a long way.